NOVITEC TORADO and ADV.1 Wheels – two respected companies in the automotive industry - forged a cooperation and present an innovative idea for the world's most thrilling super sports car: the new NOVITEC TORADO + ADV.1 NL2 high-tech forged wheel for the Lamborghini Aventador is now available in a limited edition of just 25 consecutively numbered sets of wheels. The objective of this cooperation between the high-end German tuning and refinement specialist NOVITEC TORADO and American high-tech wheel manufacturer ADV.1, was to incorporate a truly aggressive wheel design logically to the design and functionality of the Italian sports car. Each wheel is designed to only fit at one corner of the vehicle. 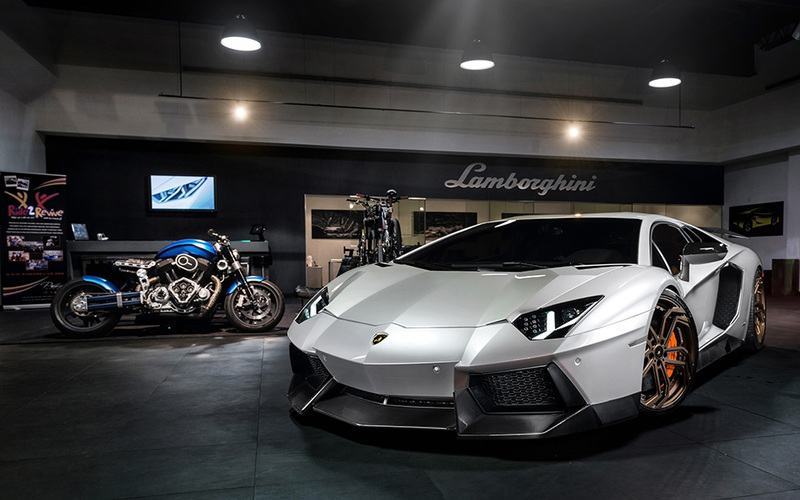 As the first product of this cooperation the two partners now present the NL2 wheels for the Aventador. The wheels have an aggressive design modeled after a wind turbine that features five unusually shaped double spokes. 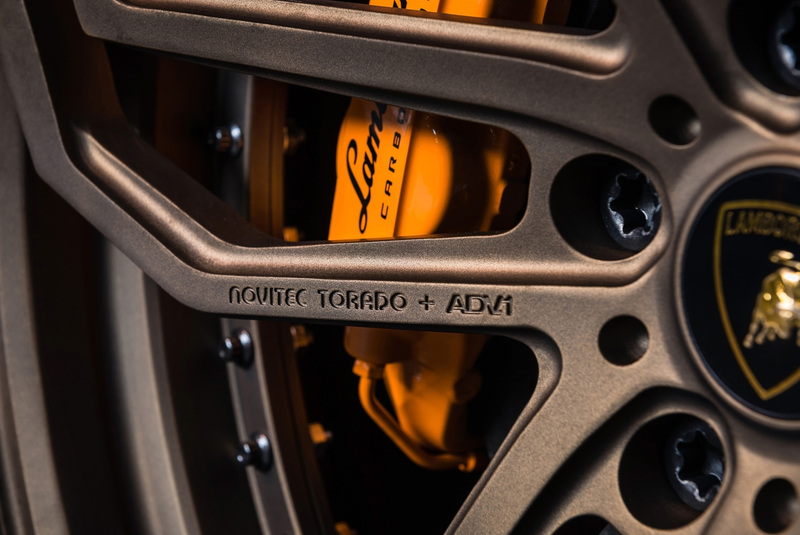 The NOVITEC TORADO + ADV.1 NL2 wheels are designed to only fit one corner of the vehicle and as a result, the wind turbine styling feature with five slanted and extravagantly shaped double spokes is refined technically and visually in every detail. Conventional wheels with a wind turbine design have one major drawback: for cost reasons, only one tool is produced, which means that only the spokes on one side of the vehicle spin in the correct direction. On the opposite side the spokes are slanted against the direction of travel and visually seem to "break up the appearance" of the car. This design also impairs brake cooling and venting on one side of the vehicle. The wind turbine effect of the NOVITEC TORADO + ADV.1 NL2 wheels as they are produced, provide an optimal supply of cooling air and maximum dissipation of heat to enhance the braking performance. 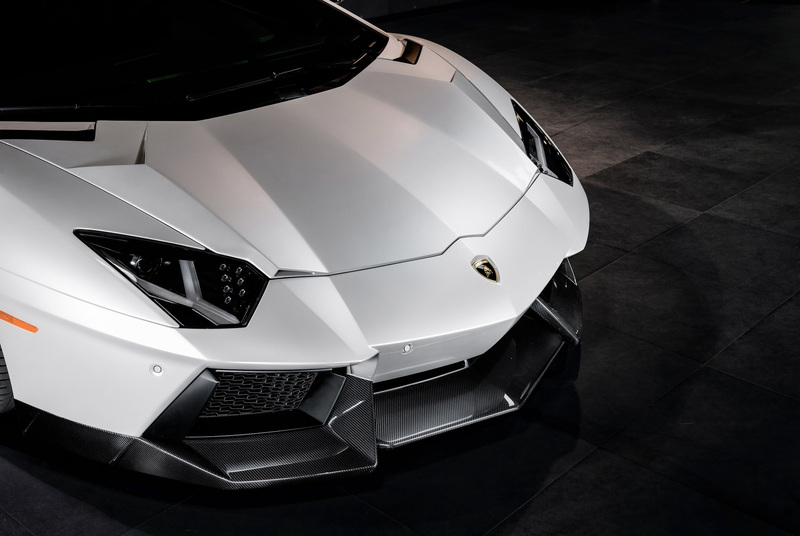 This not only benefits the performance, but the appearance of any Aventador fitted with these wheels. The extravagant, markedly aggressive, appearance of the extremely lightweight two-piece wheels will be sold in a staggered sizing combination of 9Jx20 at the front axle and 12.5Jx21 at the rear axle, further emphasizing the wedge shape of the mid-engine sports car. The perfect high-performance tires in sizes 255/30 ZR 20 front and 355/25 ZR 21 rear are supplied for these exclusive sets of wheels by Pirelli, which will be manufactured in a limited edition of just 25 consecutively numbered sets and can be complemented with a paint finish adapted to the customer's personal preferences. Innovative ideas are what made NOVITEC the world's leading tuner for Italian sports cars and only the best suppliers are good enough for our exclusive clientele. For this reason, NOVITEC TORADO, the corporate division dealing in the refinement of current Lamborghini models, now cooperates with ADV.1. 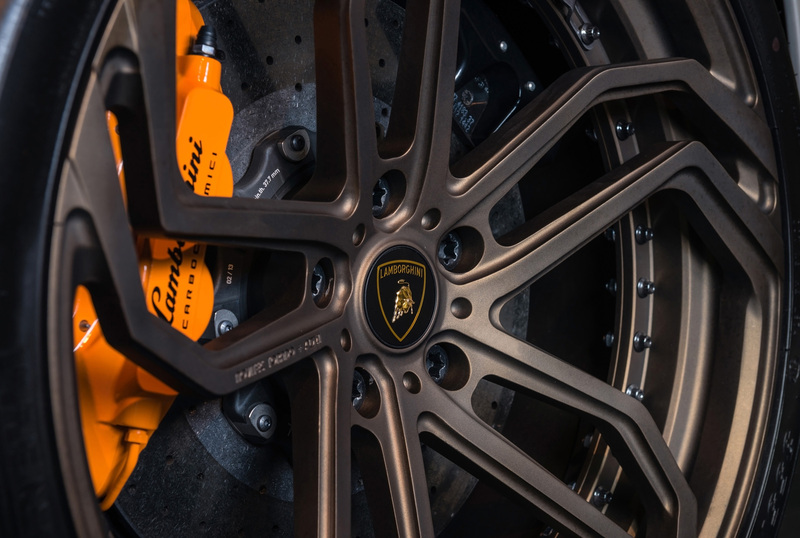 With its high-tech forged wheels, the US manufacturer has earned a top position among the manufacturers of exclusive alloy wheels around the globe. 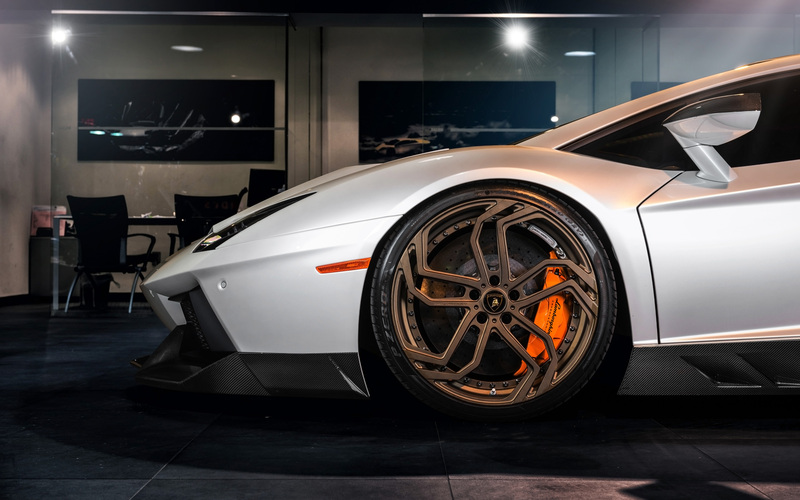 The new NL2 forged wheels allow NOVITEC TORADO to further expand its extensive tuning program for the Lamborghini Aventador. A program that ranges from a carbon-fiber aerodynamic-enhancement kit, various levels of engine tuning, high-performance exhaust systems with electronic sound management, precisely tuned coil-over suspension kits and exclusive cockpit refinements round out the performance and personalized upgrades. 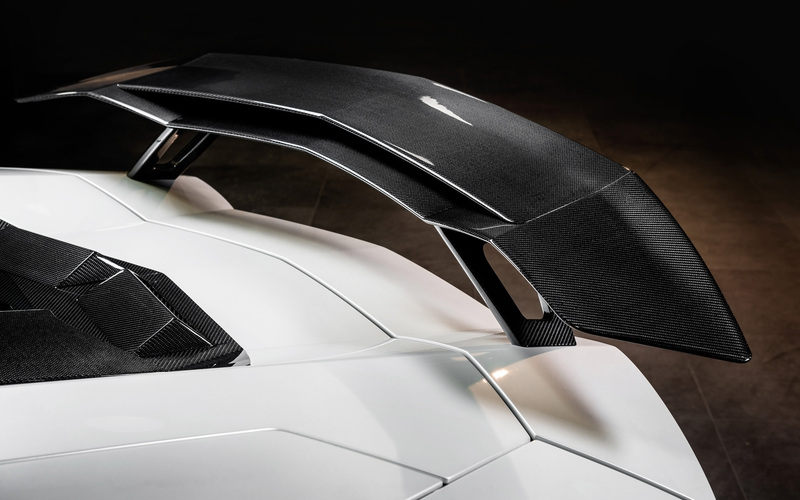 To give the Lamborghini Aventador an even sportier appearance, the NOVITEC designers went into the wind tunnel to develop an aerodynamic-enhancement kit that is also available with a clear-coated carbon-fiber finish for its lightweight advantage and genuine racing appearance. The front of the two-seater can be upgraded to an even more aggressive design with the two-piece NOVITEC TORADO front spoiler, the central front blade, newly designed air scoops and the redesigned trunk lid with integrated air ducts and new air vents. This creates optimal down force on the front axle and further improves handling stability at high speeds. The NOVITEC TORADO side skirts, carbon-fiber mirror housings and redesigned side air scoops on the rear windows complete the aggressive side view of the vehicle with the new forged wheels. The rear is shaped by the NOVITEC TORADO rear wing, which is available in two versions and increases down force on the rear axle. In addition, there is a special diffuser for the rear bumper, which can be expanded into a double diffuser with an extra component. 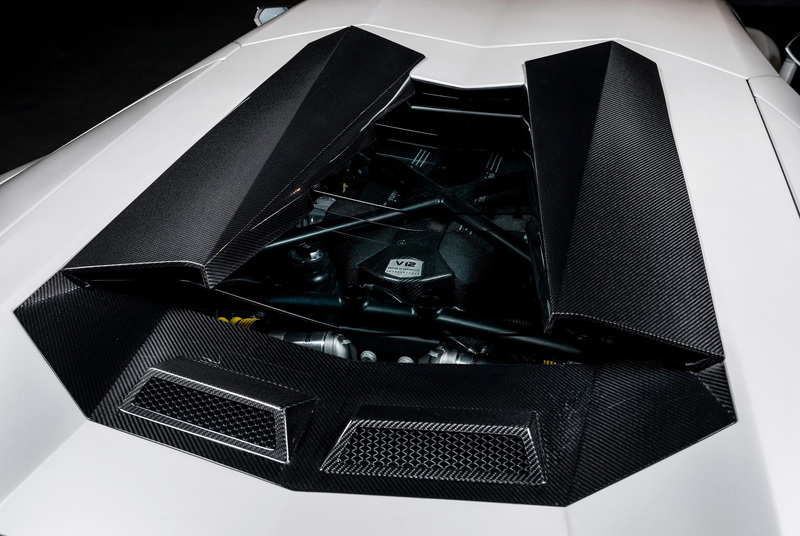 NOVITEC TORADO fits the hood with larger air scoops and air vents, which are complemented by redesigned air vents in the rear components and consequently ensure a healthy temperature level in the engine bay. Extensive calibration test drives on the racetrack and on public roads resulted in the development of the NOVITEC TORADO coil-over suspension components for the Aventador. The suspension components offer an adjustable ride height and adjustable damping to make the handling even more agile and direct. It goes without saying that NOVITEC TORADO also offers various power output levels for the top-of-the-line Lamborghini model. Visually and acoustically the NOVITEC TORADO high-performance exhaust systems are a world apart. The exhausts have quasi three and a half tailpipes because the two center pipes are connected. They are available in stainless steel or the even lighter INCONEL material used in Formula 1 Racing. Customers can choose from versions with or without a controlled butterfly valve – optionally controlled at the push of a button from the cockpit. The program lineup also includes lighter and more efficient sports catalysts. In addition to optimizing power delivery, the NOVITEC TORADO high-performance exhaust systems also offer the option of saving up to 26 kilograms/57.3lbs in weight compared with the original equipment. 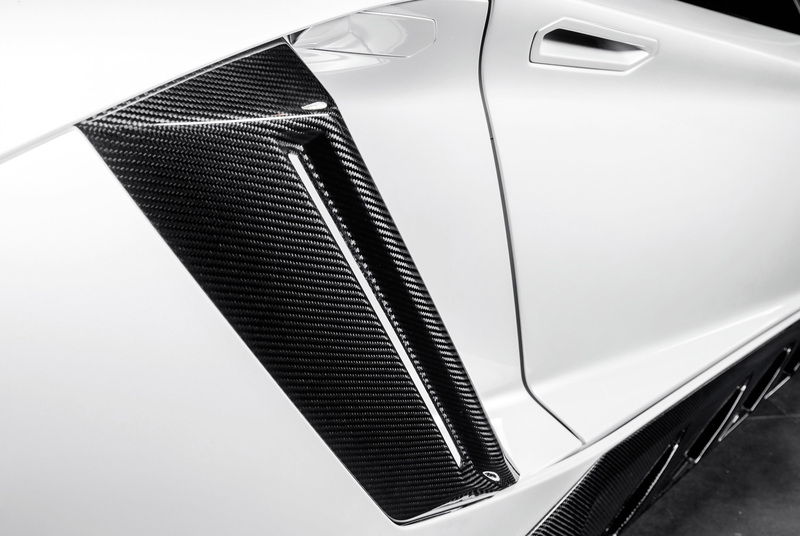 In the cockpit NOVITEC TORADO offers diversity with clear-coated carbon-fiber elements for the door trim and the dashboard. Interiors masterfully crafted from the finest leather and Alcantara can be ordered in any desired color. The NOVITEC Group with this addition to their offerings for the world's finest Italian vehicles continues their philosophy of PERFORMANCE EN VOGUE.